If you had to choose one camera in all of the world for your slow motion shoot, without question, it should be the Phantom Flex4K. Because of the Flex4K’s reputation as the industry’s best 4K high speed camera and our love for slowmo, we couldn’t resist adding it to our arsenal. Capable of 1000fps in 4K 12 bit raw, there is no longer a sacrifice in frame rate OR quality when shooting slow motion footage. DFVC’s Flex has 128gb of internal ram for maximum real-time recording capture and is available with two 2TB Cinemags. Director of Photography, Dustin Farrell, is also a certified Phantom Tech. Being one of the few owner/operators of the Flex4K in the world, you will be in good hands with Dustin on set. 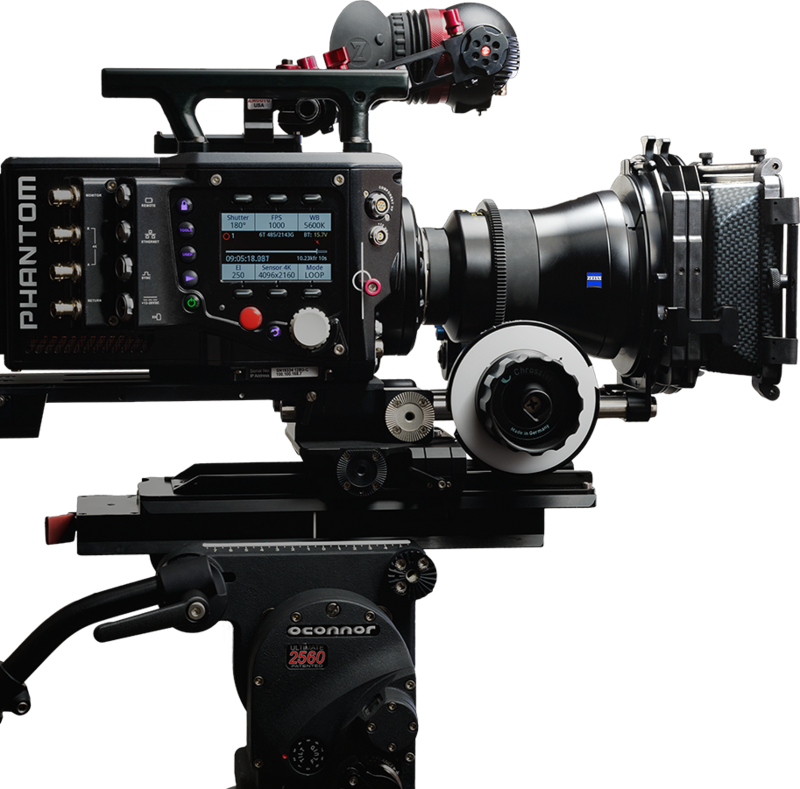 If it is just a rental you are looking for, you can rest assured the camera will be properly prepped for your DP and Phantom Tech.